Knit and Stitch is located in the heart of Cocoa Village , Florida. Many fine restaurants and shops to visit while you are here. 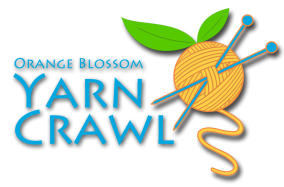 We are a teaching shop with 15 instructors teaching Knitting, Crocheting, Weaving, Spinning, and Tatting. We offer a full calendar of classes on our Website. We also offer a full line of fine yarns, needles and notions. Gift certificates are available along with many knitting and crocheting gifts. We always look forward to seeing you.